In the July of 2015, me, my girlfriend Olga, and our friend, whose name is also Olga, planned a road trip across Sweden. Sweden was not our first option (the original idea was Germany), and this was not going to be our first visit there; in 2014, we made a short but intense road trip to Flåm, Norway from Finland on a rental car. This time, I actually had my own car in a reasonable shape, and so we chose Sweden (with a little bit of Denmark) as a nice and reachable destination. In hindsight, our itinerary, which had been pretty much entirely plotted by me, was not the best one. Too much driving and not enough staying in one place for a while to enjoy it. This however was somewhat rectified in the second half of our journey. Overall, we certainly saw a lot and enjoyed it very much, and this is a short account of our trip, in fourteen parts (and believe me I really tried to make this short!). The first one in the series of posts of a road trip across Sweden, namely actually getting to Sweden. Overnight Turku-Stockholm trip on a Viking Line cruiseferry. Morning in Stockholm at the island of Djurgården. Vasa Museum, featuring warship Vasa, which sunk on its mayden voyage in 1628, and was recovered in the 20th century. Just a walk through the center of Stockholm. A 500 km long drive from Stockholm to the Isle of Öland (with an overnight stop). The ruins of the 12th century caste of Borgholm on the Swedish Isle of Öland. Långe Erik lighthouse and Trollskogen forest at the northern tip of Öland island. A detour from Sweden to Copenhagen, the capital of Denmark. A detour from Sweden to Copenhagen, the capital of Denmark (continued). A bit of Copenhagen, a bit of Malmö, and a moderately long drive. 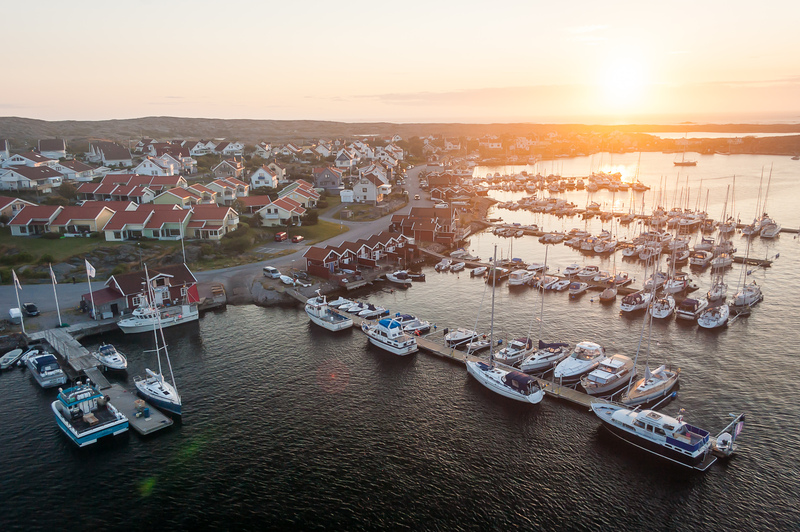 Smögen, a resort town on the western shore of Sweden, with lots of sun, rocks, and lobsters. Lysekil, a slightly large town on the western shore of Sweden, where I learned how to catch little crabs. The end of the journey. Uppsala, the old capital of Sweden, and a final bit of Stockholm.